Heron Greenesmith is a Senior Research Analyst at Political Research Associates, where they focus on LGBTQI justice. 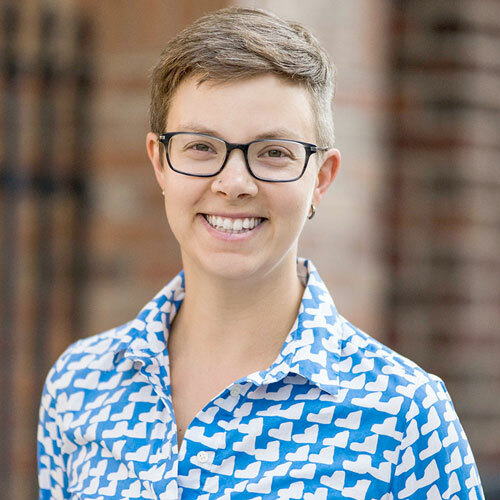 Heron has worked in LGBTQ advocacy for over a decade with the National Coalition of Anti-Violence Programs, the Movement Advancement Project, Family Equality Council, and the National LGBTQ Task Force. They specialize in advocacy for bisexual and pansexual people. Heron is a graduate of the University of New Hampshire and American University, Washington College of Law. Heron is admitted to the New York and Massachusetts bars. They are a former board member of the Massachusetts LGBTQ Bar Association, a former board member of the National LGBT Bar Association, a former Rockwood Leadership Institute Fellow, and a returned Peace Corps Volunteer. Follow Heron on Twitter at @herong.